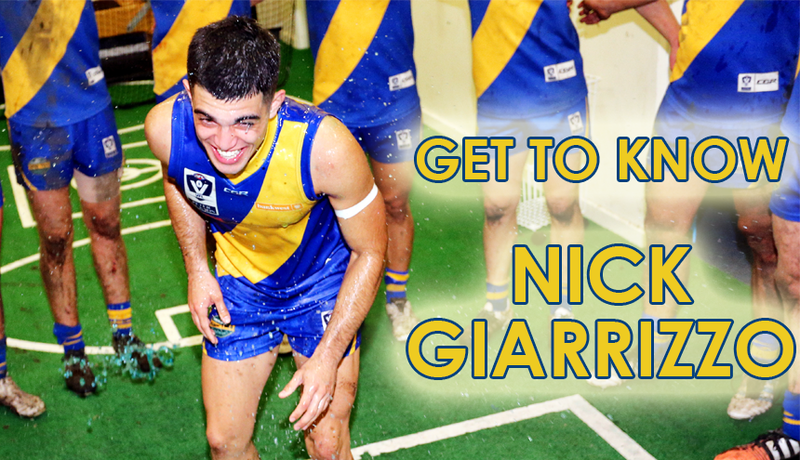 New recruit Nick Giarrizzo answers a series of questions in our new, 'Get to know' series. Williamstown has appointed Frankie Raso as the club's new Development League Coach. We review the 2016 season of Gerry Callahan Medallist, Willie Wheeler. Williamstown has tentatively scheduled it's pre-season matches ahead of the 2017 season. New recruit Fletcher Carroll answers a series of questions in our new, 'Get to know' series. We review the 2016 season of 2016 J.J. Liston Medallist, Michael Gibbons. New recruit Lachlan Bramble answers a series of questions in our new, 'Get to know' series. 2015 Williamstown premiership defender Nick Sing has re-signed for the 2017 season. We review the 2016 season of key forward, Ayce Cordy. Williamstown has signed 25-year old Claremont midfielder, Corey Yeo.